I am obsessed with pomegranate! Yesterday, I went to Holland and Barrett for a wonder, and my eyes immediately went to the pomegranate range by Dr organic. I decided I needed to revert back to my organic natural shampoos, as recently I have been using drugstore brands and it hasn't done anything for my hair. These shampoos don't contain any harsh chemicals, I used to use "Naked" but I didn't stick with it, not sure why - they were actually really good. Check my previous post on shampoo cleansing ingredients to avoid. FYI: Don't expect natural shampoos to lather up as much as chemical based ones, this doesn't mean that it doesn't clean it properly, because it does. These were £4.99 each. Today I went to Sally hair and beauty in Picadilly London. I have decided to dye my hair back to it's natural colour. I have played around with my hair quite a lot within the past few months, so decided enough was enough. I don't want to have to dye it again, also I have found with drugstore hair dyes, the colour fades really quickly and it seems to take a red/copper tinge which is quite common with Mediterranean hair. I opted for light brown ash, however this is more like a medium brown. The medium brown dye looked black so I skipped that. It's important for the hair dye to be from the ash family to take away from the red/copper which I despise! I CAN'T stand it on me, it just looks off key with my colouring. All of this is for 1 application, it cost under £10. 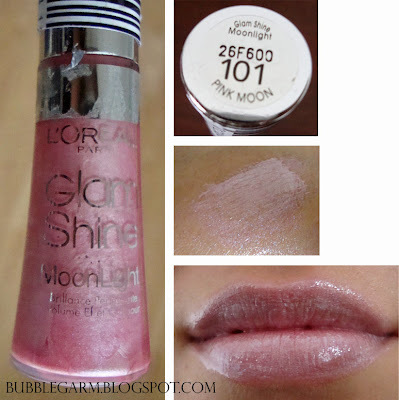 I also picked up a lipgloss in pink moon by L'oreal from their glam shine moonlight range. It's a beautiful baby pink with some mauve/silver shimmer. I love it, I couldn't quite capture it but it has tiny blue reflects in it. It's like a more pigmented version of Mac baby sparks dazzleglass but with no sparkles. Lovely haul hunni. Johnsons baby stuff is gorge. I love the smell. I found that H&B pomegranate stuff so drying but I loved the idea of it. Pomegranate is a great anti-oxidant. The manuka honey range from H&B is lovely. Baby Aisle is probably a gold mine when it comes to good products. I'm surprised that more beauty addicts don't explore this area. The products are gentle enough to use on babies skin, so you can be sure they won't irritate your own. I used to buy baby soaps for my face, I use baby oil as a make up remover and I had that exact same lotion you bought, but ran out. 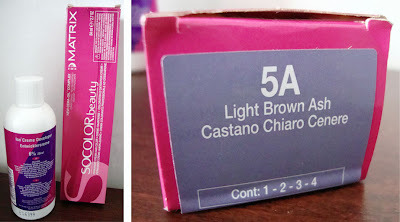 I also use this almond baby cream (very rich in texture) that I bought when visiting back home in Bosnia. It smells divine, and heals my spots better than anything. I also use it as a lip conditioner. I saw my sister use this cream on her baby, and I had to have it, it smelled so delicious. I really want to test out more baby stuff, so I'll probably wander into the baby aisle next time I'm at the store. Oh, I just love the smell of pomegratate...especially the body shop's Christmas collections. Great haul! I love the smell of pomegranate! I haven't tried using the J&J baby lotion since I was a baby, LOL. Maybe I'll go back to it after I'm done with my current ones. I too also extremely love the smell of babies!!! The pomegranate moisturizer looks yummy! I'm wondering if you dyed your eyebrows? since your hair naturally is black..
@Chloe Noelle he chloe, no my hair is not naturally black, it like a mousy brown. no i didnt dye my eyebrows. but i would if i was going to make my hair really light to make them look more natural. Aw thanks for your reply hun! i was reading to fast hihi ;) thought you said your hair was naturally black. @Aysh thank you so much, i am seriously humbled for words :) u made my day!